A tour of Lille will reveal a charming mix of French and Flemish features, and a historic core that is filled with impressive architecture, squares and cobblestone streets. There are lots of things to see and do in Lille, which is a friendly city and is becoming increasingly popular as a French destination. 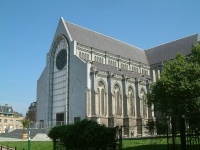 Many of the most popular attractions in Lille can be found in the historical town centre, Vieux Lille. The Grande Place, Lille's main square, is a good place to start a tour of the city. The Grande Place is a typical European town square which would not seem out of place in Brussels and boasts some glorious architecture, including the 17th-century Vieille Bourse. The Vieille Bourse is the old Stock Exchange building and it has a bustling little collectors market in its inner courtyard where visitors can rummage for things like posters, books and comics. Also in the heart of Vieux Lille is the wonderful Hospice Comtesse Museum. Founded as a hospital in 1237, today it exhibits art and artefacts from the region and from the hospital's long history. 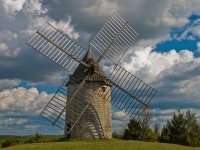 Lille has some great museums and a unique one to visit is the Musee des Moulins, which is devoted to windmills. The Palais des Beaux-Arts, which features works by masters like Raphael, Rubens, Donatello and Goya, to name but a few, is definitely worth a visit, and the Musee d'Art Moderne is one of Lille's most popular tourist attractions. Other attractions in Lille include the magnificent Notre-Dame de la Treille Cathedral which is an unexpected mixture of Gothic and contemporary architecture. Lille also has a nice little zoo, or Parc de Zoologique, which visitors can enter free of charge to see various animals including rhino, zebra, red pandas and monkeys.